This photo was taken in Chicago. This stone monster was over a doorway. 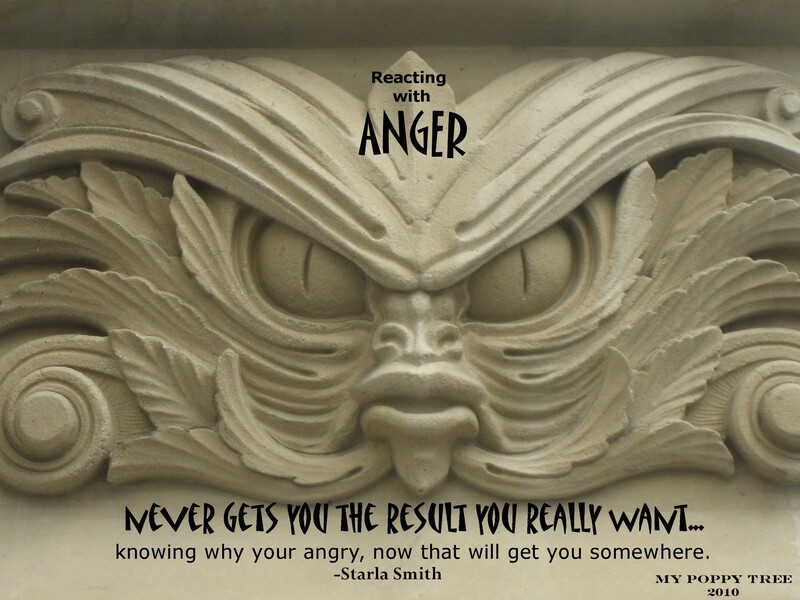 Anger ….such an easy emotion to fall into if you allow yourself. Anger is hot, torrid, and tempermental. Like a volcano ready to explode. Anger takes you to a place in your mind that is a bit scary. This is the place the lines can blurr. It seems when ever I react with anger I never get what I want…but if I do what I have done to my children – GIVE MYSELF a TIMEOUT…I find that as the anger subsides I begin to realize that I can think. I can clearly see what it is that I was upset about. To often we react and then justify our anger and our words that we said when our brains had left the building. If we wait to respond when our minds return we may find a fear lurking or a unmet need….we find the truth instead of a headache of thrown words, accusations. blame and hurt feelings. I was just telling someone this yesterday!!? ?